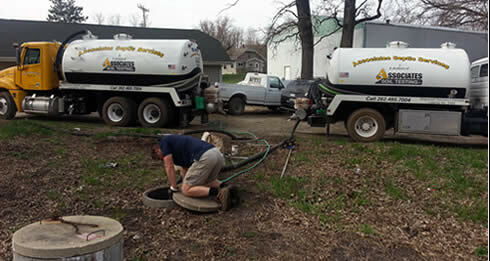 Associates Septic Services provide septic system inspections for both commercial and residential septic systems. First of all pumping is expensive! 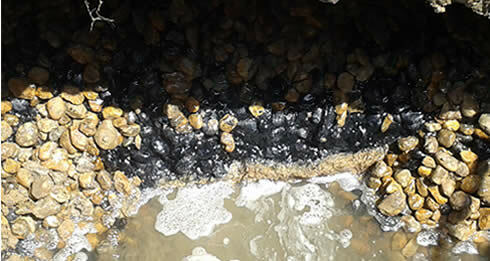 Second, the bacteria in septic tanks does the crucial work in the septic system, when you pump out the tank, you remove the bacteria and start from scratch. It takes many weeks or months to rebuild those bacteria numbers, and in the mean time, treatment of waste is diminished. See chart on septic pumping page for pumping frequency. An annual inspection may catch any behavior or practices that could be hurting septic system. Examples include too much bleach or water softener discharge. You will be informed of all aspects of your septic system, and knowledge may save you the cost of replacing your septic system. You will spend under $100 on annual maintenance that will extend the life of your septic system. The cost of a new septic system ranges from $6,000-15,000 in today’s dollars. Associates Soil Testing Inc provides complete septic inspections throughout Walworth, Waukesha, Racine and Jefferson Counties. Here are some of the cities we service regularly: Burlington, Delavan, East Troy, Elkhorn, Fort Atkinson, Hebron, Jefferson, Lake Geneva, Mukwonago, Muskego, New Berlin, Palmyra, Rochester, Wales, Walworth, Waterford, Waukesha, Whitewater, and Williams Bay. We also work in Eagle, Big Bend, North Prairie, Burlington and Dousman.